Coming September 15, 2016: Ashland Creek Press is pleased to announce the forthcoming publication of its second anthology of short fiction, Among Animals 2: The Lives of Animals and Humans in Contemporary Short Fiction. The relationships among human and non-human animals have captivated writers since the beginning of time—and the ways in which these relationships have evolved (and sometimes have not) continue to inspire writers of contemporary short fiction around the world. This carefully curated collection of international stories explores the ways in which we live among—and often in conflict with—our non-human counterparts. These stories feature animals from the familiar (pets and strays) to the wild (deer and birds) to the less beloved but no less important (cockroaches and fish). Within these pages are glimpses of the world through the eyes of those who live among, who rescue, and who study these animals, and these collected tales highlight the ways in which animals and humans understand and challenge one another. Among Animals 2 continues the tradition of gathering stories from the world’s most gifted contemporary authors—those who pay close attention to the creatures with whom we share our planet, and who inspire us to pay closer attention as well. 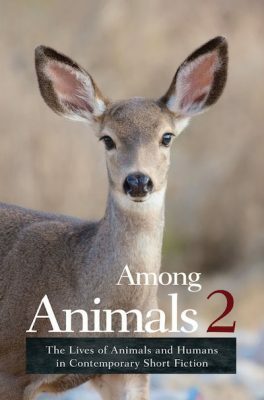 Among Animals 2 contributors include: J. Bowers, Ramola D, Anne Elliott, Catherine Evleshin, Nels Hanson, JoeAnn Hart, Claire Ibarra, Rachel King, Hunter Liguore, C.S. Malerich, Carmen Marcus, Sascha Morrell, Robyn Ryle, Anthony Sorge, and Laura Maylene Walter.